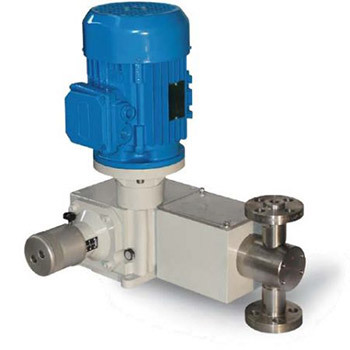 The MET 1 metering pump covers the range of medium capacities in dosage and injection applications. Its design allows the installation of a double acting arrangement to obtain very large capacities. systems, pneumatically or electronically driven. The plunger head is hydraulically actuated and the diaphragm is double with a monitoring system which allows failure detection.